KATHRYN MILES is an acclaimed journalist and writer-in-residence for Green Mountain College, as well as a faculty member for Chatham University’s MFA program. With a BA in Philosophy from St. Louis University and a PhD in English from the University of Delaware, Miles is also a scholar-in-residence for the Maine Humanities Council and a member of the Terrain.org editorial board. Her work has appeared in The Best American Essays, Popular Mechanics, Outside, and The New York Times. "fascinating and frightening... a startling reality check." 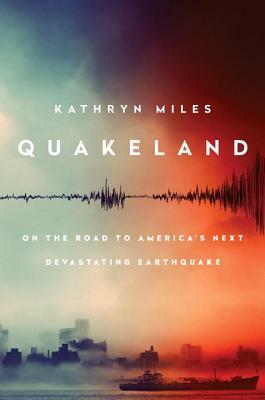 "It would be hard to imagine a more vividly readable extended warning than this book by Kathryn Miles, but Quakeland makes one conclusion all but inescapable: nobody’s listening."